Here comes a broken record blogger cliché! I’ve done what seems to be a regular thing in the blogging world and have taken a break for a week. You probably didn’t notice, hell, I didn’t even realise it had been a week but I thought I’d tell you anyway. The break was needed due to writers block, a lack of energy and an inability to focus. I’m not even sure if what I’m writing right now is making any sense so I may be returning from this blogging break prematurely. Anyway, I’ve decided to ease myself back into blogging (I’m acting like I’ve been away for years) by boring you with how I spent today. Hold onto your hats! As I grew up around motorbikes and am fortunate enough to live near a racing circuit today was spent at the British Superbikes. As a kid I was constantly taken to various races at Knockhill (aka my local racing circuit) but the British Superbikes was always my favourite. 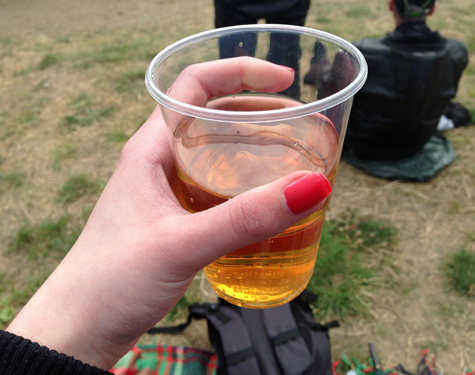 Typically we would attend the BSB with my Aunt, Uncle and cousins which added to the excitement as a kid but now, the excitement comes straight from the motorbikes (and the alcohol I insist on consuming at 11.30am while there). Thanks to accidentally sleeping in we missed the morning’s festivities but we were there in time for the main races. We took up our usual stance at Scotsman corner and waited patiently for the races to start. I passed the waiting time by judging people who were overdressed (why would you wear wedges to a rocky, hilly racing circuit? 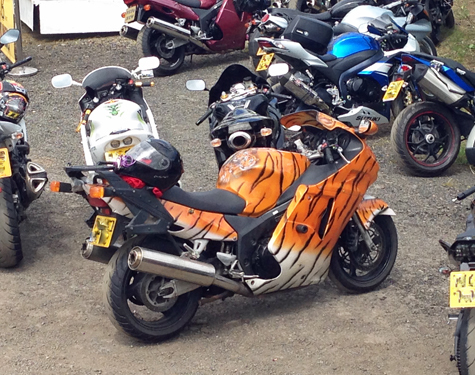 ), consuming cider that I don’t even like and trying to determine whether I thought a tiger printed motorbike was cool or tacky. Don’t say I’m not an exciting person! I won’t bore you with the details of the races as I’m fully aware of the fact a good chunk of people find motorbikes going in circles tremendously boring. 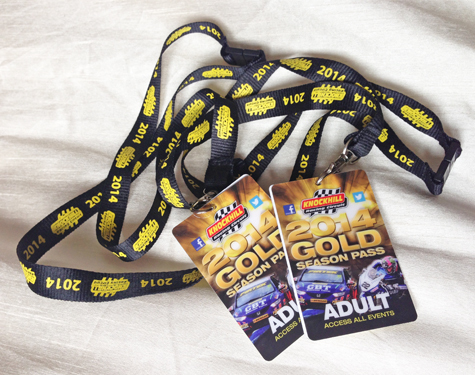 Admittedly though, this year’s races weren’t as competitive as last years but I still got my motorbike high. The only issue I have with the BSB is it always leaves me with the desire to get on a motorbike. Something tells me that the mere thought of me confusingly riding a motorbike is enough to give my parents a heart attack so I’m going to have to fight this urge. So there you have it, a brief (as brief as I can do) post on the British Superbikes. I could honestly write an entire essay about motorbikes but something tells me that’ll go down like a lead balloon in the beauty and fashion blogging world. I should probably stop writing anyway as I think the alcohol has found me. If you hear random screaming about the NFL or pigeons in Scotland tonight you know who it is! 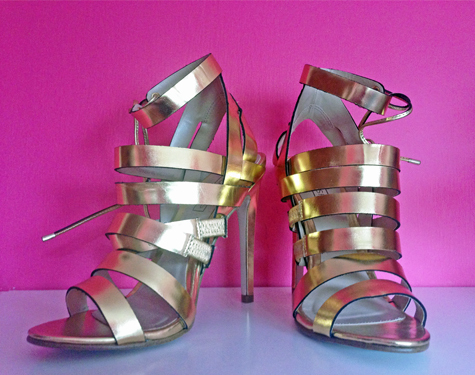 Remember when I posted about those gold strappy sandals from Topshop? Well, I did the unthinkable and bought a nail polish with them. 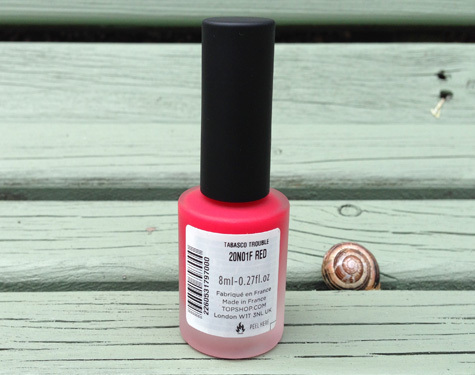 I know, I know, a blogger bought a nail polish, this is a momentous day. After much umming and aahing I went for the gorgeous and rather brilliantly titled Tabasco Trouble. It’s a beautiful deep pink that acts as a rather delightful alternative to a classic red. I wasn’t actually expecting it to have a matte finish as I’m a total cynic so I was pleasantly surprised to find myself proven wrong. 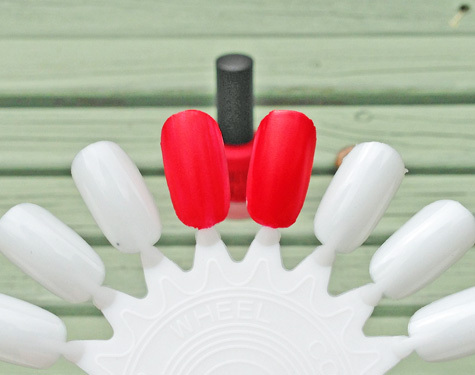 There is the faintest hint of shine to the nail polish but for the most part, it’s a matte. I typically apply 2 thin coats of Tabasco Trouble to my nails which are perfectly adequate. It dries fairly quickly but, as my nails aren’t in the best of states, it chips easily on me particularly on the tips of my nails. 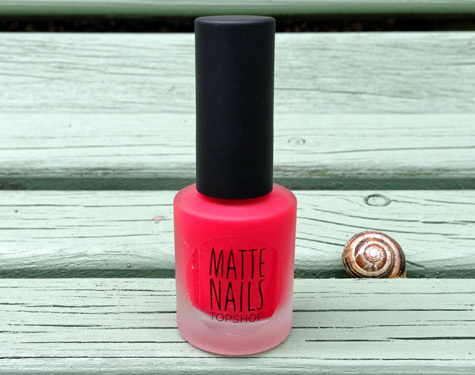 Up until this nail polish I had absolutely no experience with matte nail polishes. I’m not entirely sure how I went this long without experiencing the delights of a matte finish on my nails considering the fact I’m a sucker for a dull finish. I’m really selling it here aren’t I? The blogging world is a dangerous place for my bank balance. It all started with an innocent nosy around StyleScrapbook. I was catching up on Andy’s latest post when I was hit with the nauseating cliché of love at first sight. I couldn’t help it; the shoes that made me fall in love were just too damn beautiful to ignore. I purchased them as soon as I could and didn’t pay too much attention while doing so. 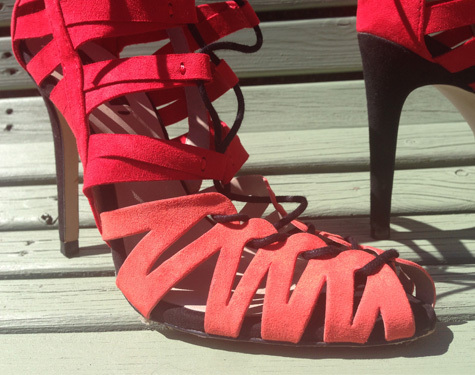 I was convinced these were red sandals so was incredibly confused by the “coral” description on the Zara website. It wasn’t until I opened the box that I realised that the bottom half of the shoe is coral (I’d say it’s just an orange but I guess coral sounds fancier) while the rest of the shoe is red. Whoops! This is what happens when you don’t pay attention to what you’re buying. Although you are required to tie the shoes in order to secure them in place – unless you really love the feeling of your shoe slipping off of your feet – there is a zip at the back to make putting the shoes on a lot easier. The zip is one of those annoying things that tend to stick every so often so the fear of breaking the zips is forever present in my mind. This is a perfectly normal fear to have right? I mean, I am still mourning the loss of a zip on a bag after all. I’m completely incapable of tying laces too tight but even I am left with indents on my feet from where the laces have been. 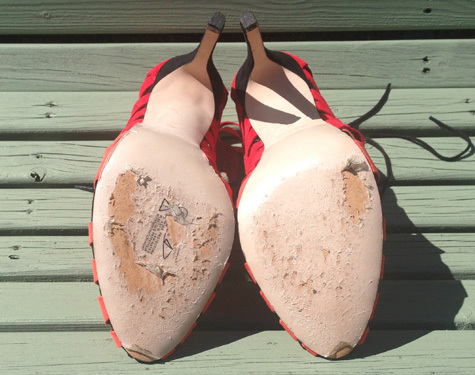 It’s definitely not the prettiest of sights nor is it the greatest of feelings but this is what shoe lovers have to suffer through so their feet will look good. Lace indents aside the shoes are incredibly comfortable. I rocked them at work today and did plenty of walking about in the process but my feet were perfectly fine afterwards. The heel is 4 inches so if you’re a girl who lives in 5 inch heels like me your feet will welcome the 1 inch break. Look who forgot to take the sticker off! The sole of the shoes (is it even called the sole? I’ve always been so confused by this tiny little word) didn’t hold up too well after just a 5 minute walk down a hill. Obviously the bottom of any shoe will look worn over time but I wasn’t expecting them to look this bad after wearing them for less time than I spend in the bathroom. On the plus side though I did discover during those 5 minutes of wear that blood can be cleaned off of them easily. Er does that sound like I murdered someone while wearing the shoes? I swear it was just my toe bleeding! Honest! All in all I’m rather happy my will power was incredibly weak when it came to these shoes as I’m still in love with them. I’m not sure how they’re going to get on with non work clothes but I’m sure I can incorporate them somehow. Clashing is still cool right…? 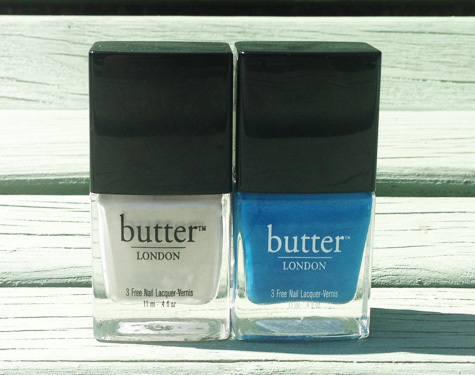 Butter London and I had never met until a few weeks ago. 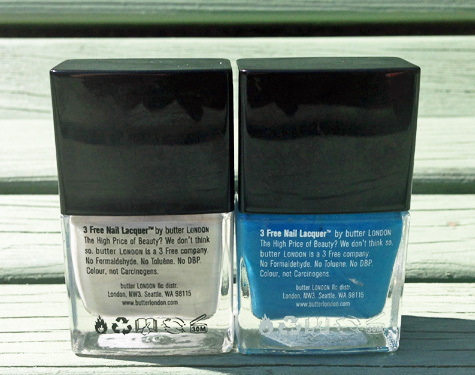 I’m usually a Barry M kind of girl when it comes to nail polish and rarely stray but, as I was getting 2 Butter London nail polishes for the price of 1, I decided to cheat on Barry M. I wanted to purchase every nail polish in sight but I limited myself to the 2 shades I ended up with. In your face self-control! Keks had me hitting the “add to cart” button before I could even think about it. I absolutely love blue nail polish but somehow managed to go through my obsession for it without a shade like Keks in my collection. 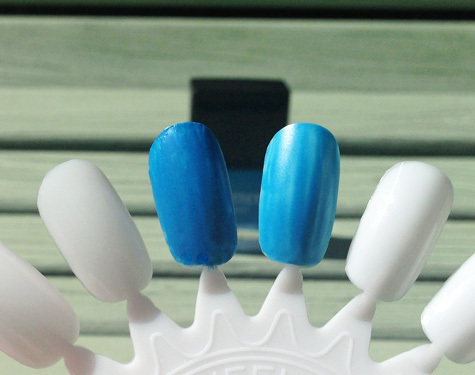 It’s a gorgeous and creamy sky like blue and makes me feel rather summery whenever I wear it. I typically apply just one coat of this (without a base or a top coat, I’m such a rebel) and it looks fine but 2 coats is required for full opacity. It dries quickly and has a borderline matte finish. I do find it chips quite easily but that’s probably down to the lack of top coat. 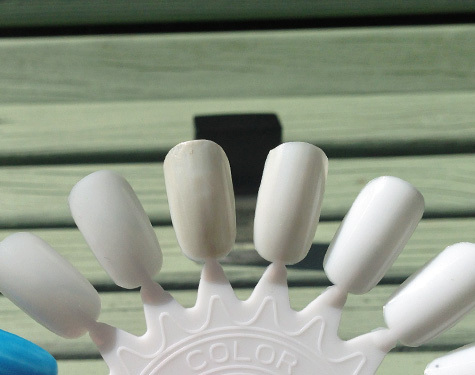 Pearly Queen was something I decided to purchase after discovering my white nail polish had gone missing. I wanted something that was off white but still somewhat sophisticated and Pearly Queen comes close to my requirements. It is definitely a pearly white but it just doesn’t do it for me. My nails aren’t exactly in tip top condition and Pearly Queen shows every flaw with them. I always apply 2 coats of Pearly Queen but I think 3 coats are actually required in order to hide my nails defects. The colour is also a little too “old lady-ish” for my liking and I find it rather difficult to pull off. I’m sure I can find some use for Pearly Queen but I just can’t rock it on its own. I should’ve just gone for pure white! Cheating on Barry M was a bit of a gamble but it somewhat paid off. I’m not overly impressed with Pearly Queen but Keks barely leaves my nails. I’ll probably check out more Butter London nail polishes in the future but something tells me I’ll be sticking to the bolder, brighter shades rather than the old lady shades. Are you allowed to use hashtags on blogs or am I breaking some internet rule by doing so? Have you ever felt homesick for a place you’ve never lived in for more than a week? I do every single day. Every morning and night I’m reminded of my love of New York and I pine for it every single time. It’s been far too long since I was last there and it will be a while before I can return. The only way I can satisfy my cravings to walk the sidewalks and smell the polluted air is by scouring my laptop and phone for all of my New York photos. It’s not quite the same but it’s all I have for now. 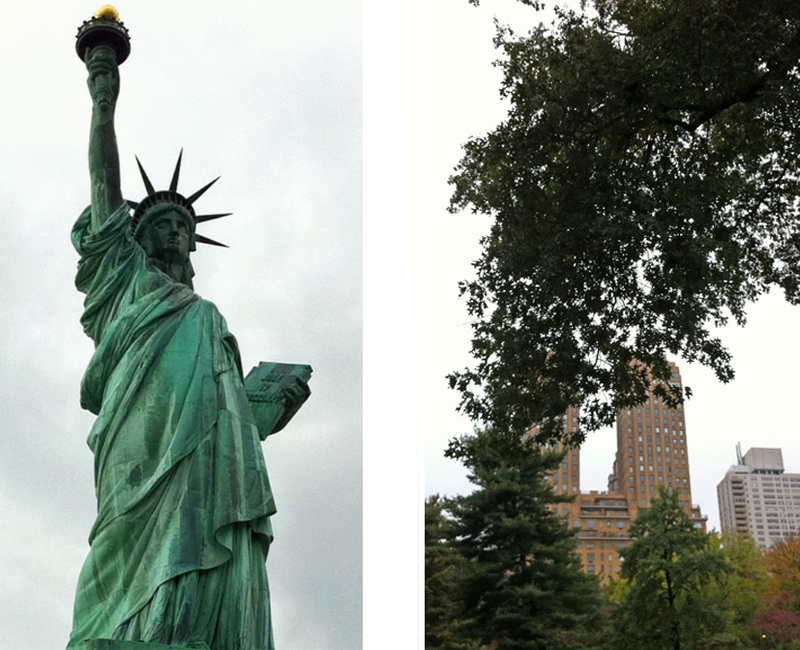 Left: Statue of Liberty Right: The Dakota. Staring up at the Statue of Liberty, standing on top of the Empire State Building and strolling past the Stock Exchange have always been things I dreamed of as a child and to actually experience it first hand is indescribable. 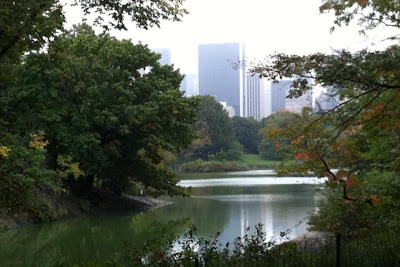 Walking into the peacefulness of Central Park and leaving behind the noise of the city for a while is an extraordinary feeling. It’s a much needed place to gather your thoughts, to plan your days and to escape a concrete jungle even if it’s just for 5 minutes. It’s not just the tourist-y things that captured my black, shrivelled up heart; it’s the yellow cabs on every block, it’s the sound of the garbage trucks waking me from my impatient slumber and it’s the residents clutching their Starbucks cups as they make their way to work. It is honestly all of the simple things that make me love New York. Just as I was getting a bit fed up with this season’s fashions, Graduate Fashion Week came as a breath of fresh air, with all of its innovative and emerging designers producing the most fascinating collections. The international catwalk show was so inspiring it almost made me want to go back and do fashion school all over again. 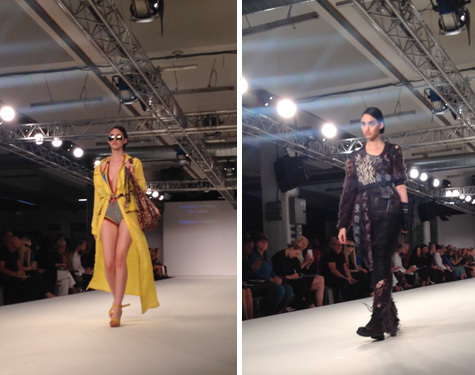 The show I attended was the international catwalk competition, featuring a selection of the top graduate collections from the leading international universities. It was great to see the fashion visions from all over the world, where each collection was diverse yet did not necessarily portray immediate cultural influences. 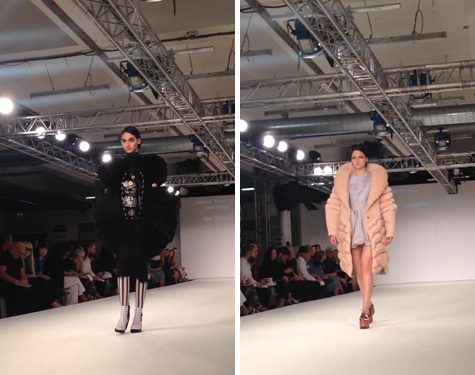 Graduate Fashion Week is all about showcasing the freshest university talents. The four day event saw over a thousand works from all of the most influential and inspiring universities, where an amazing twenty-two mesmerising catwalk shows unveiled this year’s most exhilarating graduate collections. Graduate Fashion Week was initiated as a charity event, founded back in 1991 to bridge the gap between education and employment in the fashion industry, which is notoriously renowned for being one of the hardest to get into. As the lights dimmed and as the models started to make their way down the runway, I quickly tweeted my excitement but then for some strange reason I felt a bit nervous. I guess it was because I had some kind of déjà vu that instantaneously reminded me of my final year of Uni…the sleepless nights, spray painted fingers and broken sewing machine needles which you couldn’t just get from anywhere. The show was beaming with fashions that encapsulated a huge range of styles, with pieces that had distinctive cuts and silhouettes in lush bespoke fabrics alongside dynamic prints that were simply endearing to the eye. 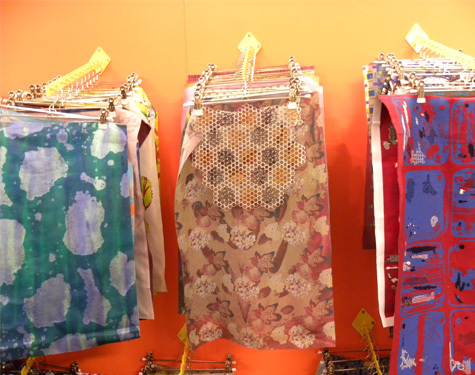 The show presented a nice mix of vibrant colours as well as textures that were floaty and foamy, with pieces entwined with clunky mental pieces. One designer who I fell in love with instantly for their chic, wearable collection was Sabrina Pilkati who studied at Italian fashion school Academia di Costume E Moda. Italian womenswear and styling usually exudes femininity with eloquent qualities which are all usually bought together with luxe accessory details to achieve that seamless look. Sabrina Pilkati’s collection has all of those special Italian qualities. I love this collection because all of the pieces you could easily work into your wardrobe. The collection saw pieces in black, cream and red in simplistic cuts that had a stylish twist of fabric manipulation details. The Italians know all about adding luxe components to a look where my favourite styling accessory was the ankle strap stiletto pumps which had a Perspex wedge imprisoning the heel. I’ve always been a wearable art enthusiast so when Madelen Ljunggren debuted her collection on the runway I was immediately infatuated by the ingenious, artful form of her collection. 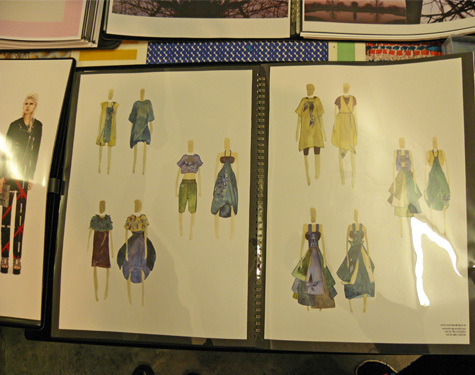 Ljunggren is from a Norway fashion school Esmod Oslo. The pieces that she sent down the catwalk were uber cool! They were out of this world in pastel peach colours that saw oversized padded coats in futuristic designs with jackets that were cropped with the most incredible fabric manipulated arms. I loved this collection because there was a bit of everything, I was also totally obsessed with the chunky knit polo neck crop top which was then juxtaposed by a plain minimal outwear piece. Claudio Cutugno who is from IED fashion school reconfirms exactly why I love designer fashion. Fashion is all about the artistry and skills of a designer. Cutugno’s work sees influences of gothic and punk style aesthetics where her entire collection was in black sheer fabric with lace fabrics for intricate details. The layering and tailoring in this collection was impeccable, so much so that you could have easily mistaken it for a Rick Owens or Simona Tagliaferri piece. If that was not enough for one to take in there was the exhibition too. Graduate Fashion Week is also very much about the exhibition which spanned over two floors featuring fashion marvels from over forty universities. 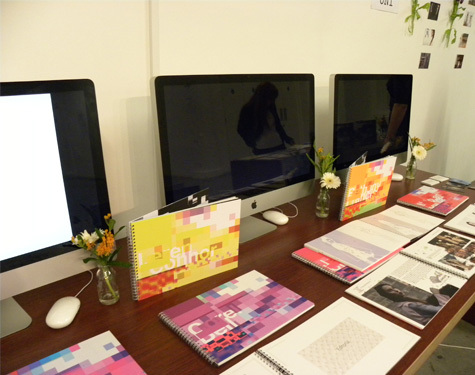 The exhibition was just as visually exciting as the shows with garments, accessories, fabrics and portfolios all on display for you to take your leisurely time in viewing as well as having the opportunity to speak with some of the designers about their ideas, designs and concepts. As I made my way through the final stands in reality I felt more than satisfied with the fact my fashion school days were well and truly over where you and I can just enjoy the easy part of fashion…the wearing of fabulous pieces. Right enough of the 3rd person garbage, let’s talk shoes! Yes I have done the unthinkable and purchased not one but two pairs of shoes from high street stores. I am officially a normal person! I shall start off with the ones I purchased from Topshop and the ones from Zara will feature in an entirely different post. I know, I know, I’m an exciting person. As you can probably see these are gold strappy sandals. They have a 4 inch heel and tie around the ankle. The lace part was tied in a more jazzy fashion when I first received the shoes but, as I can barely tie shoes as it is, I have to tie them the bog standard way so it’s not as fun. I originally had the desire to buy a pair of gold wedges but as the only ones I came close to were Jeffrey Campbell’s and just weren’t gold enough for me I refrained. I was ready to give up hope on ever owning a pair of gold shoes until I laid eyes on these sandals. They are the perfect shade of gold, they’re slightly obnoxious and the lace part makes them a bit more interesting than regular old sandals. Admittedly I have yet to wear them for a great length of time so I cannot comment on comfort; I do know they wreak havoc on skin that has already been destroyed by another pair of shoes though. A Birkin bag is not something I’ve ever strived for. I can’t afford to spend so much on a bag and I don’t have the patience to sit on a waiting list for years on end so, for practical reasons, I’ve never desired one. That’s not to say I’m not in love with the design of a Birkin bag. They’re structured, simple, timeless and oh so elegant. To me a Birkin is the perfect “grown up” bag so when I stumbled across an obvious and significantly cheaper rip off I snapped it up immediately. Admittedly I’d never heard of Nero Valentino until I found this bag and even now I can’t find all that much about them. I wasn’t fussed about not knowing who they were or about the quality of their bags when I purchased this as returning items for a full refund exists. 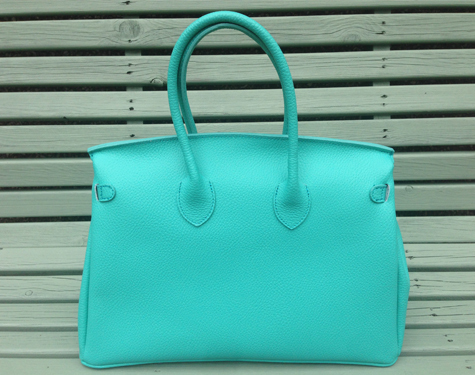 Now I’m adamant the bag I purchased was pale blue rather than this aquamarine shade. I think this shade is a bit more “me” than a pale blue so I’m not complaining. The hardware is silver which works with the colour of the bag beautifully. It’s a substantial size (I was hoping it would fit my laptop in it but it’s a tad too small), it’s structured and very well made but I have a gripe. Yes me, the picky person has a gripe, shocking isn’t it? My issue is how frigging hard and time consuming it is to actually open the bag. In order to gain access to your belongings you have to turn the little silver lock, pull the flaps from it before then pulling the 2 strips of material from the silver rectangles holding them in place and even then the battle isn’t over. You then have to fight the straps while pulling the main flap over so you can finally get to your things. It’s almost a 2 person job. Once you’ve managed to open the bag you have plenty of space to put all the crap we all insist on carting around in. I do prefer bags with a lot of compartments which sadly this does not have but I’ll live. Annoyingly it is one of those bags that will eventually lose its structured shape over time if you constantly throw your entire life into it. That’s an easy thing to get around though, just don’t weigh it down with everything and it’ll be fine. Everyone says it but it’s true, where on earth are the months going? I can’t even get over the fact May is now done and dusted and we’re in June. Scotland is also brightening and warming up so I’ve even more confused. While I sit and ponder the weather and the time you can read my monthly favourites. How excited are you? Where on earth has this been all my life? 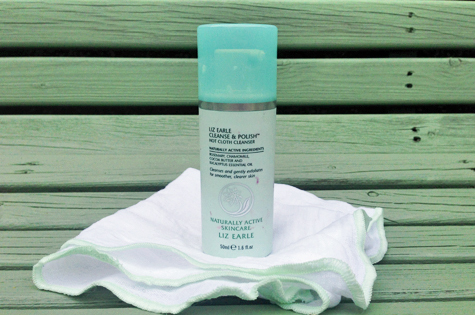 Hyped up products usually don’t agree with me but the Liz Earle Cleanse and Polish is the one exception to that. This blows my usual cleanser out of the water! Just in case you don’t know what the Cleanse and Polish is like it’s a cream that you apply all over your face that you then remove with the muslin cloth provided. It’s easy to rub in to the skin and removes every trace of make up left on your face. My skin has been so much clearer since using the Cleanse and Polish and I honestly can’t fault it. It’s well worth the hype and the amount of awards it’s won. I think it's about time I sharpened this. Up until a few months ago I was using a black eyeshadow to fill in my eyebrows but as of recently I wanted something a bit more natural. 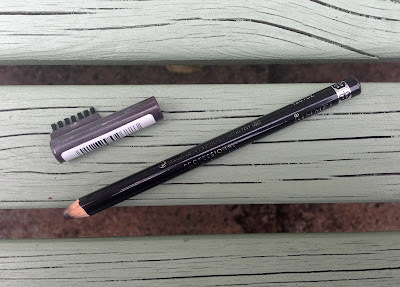 I had this eyebrow pencil lying around in my collection for a while and decided it was about time I used it. I don’t have the steadiest of hands so it took a bit of practice but this pencil is incredible and very forgiving. The colour is only a smidge darker than my natural eyebrow colour so it’s perfect for me. 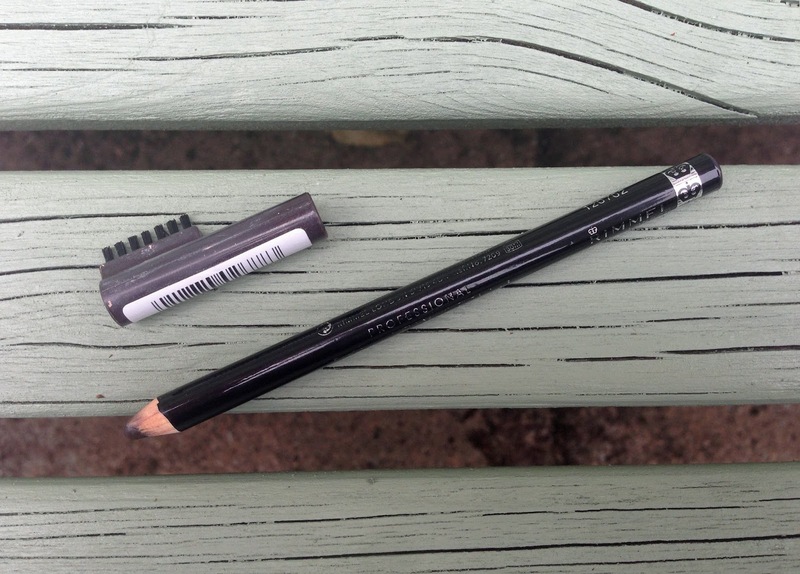 It’s soft and subtle and everything I want in an eyebrow pencil. Guess who’s back, back again. Honey’s back, tell a friend. Ok that doesn’t work as well as the beginning of Eminem - Without Me but roll with it. 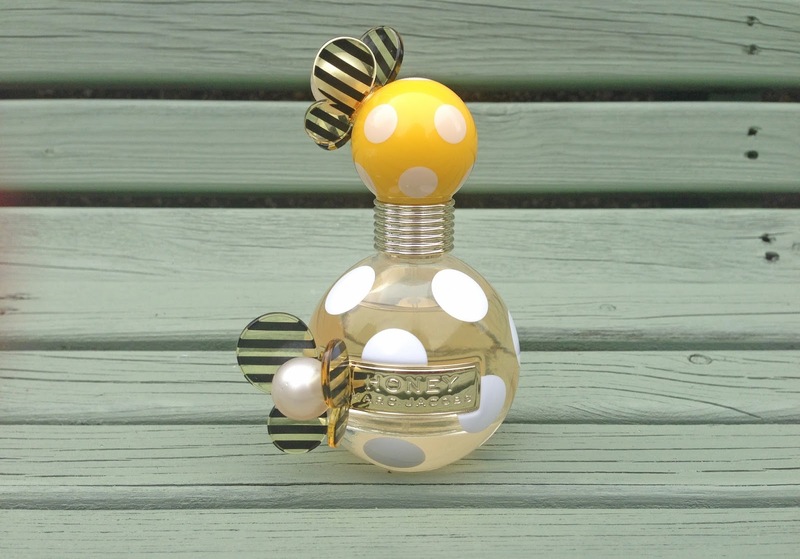 Marc Jacobs Honey featured in my January Favourites but I just couldn’t resist talking about it again. I know, I know it’s not the most unique of scents but I can’t get enough of it. It’s citrusy and sweet yet somewhat floral and it lasts all day. 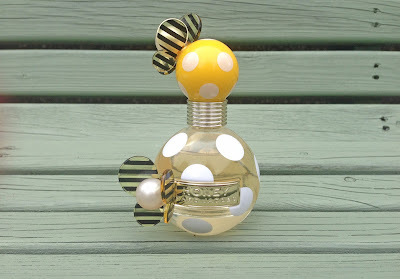 If I could marry a perfume I think this would be the one. Do I have to buy the ring here or…? 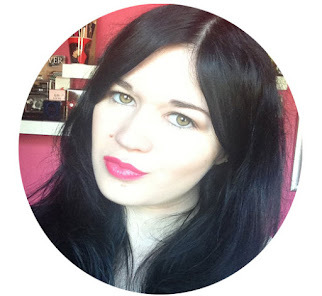 Look at the blogger talking about candles, like you’ve never seen that before! I like the idea of candles but my inability to use a match without burning myself put me off them. It also didn’t help that I was confined to a small, cramped space that would probably catch fire should I have ever used one. I’m now in a much bigger bedroom (more on that in another post) so I can light candles and not have to worry about flames. 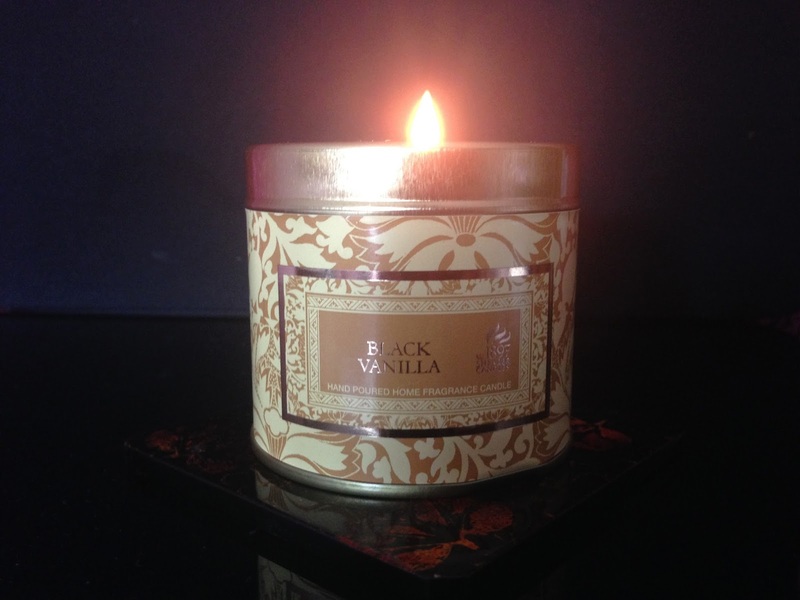 The Shearer candle in Black Vanilla is a good wee scent. 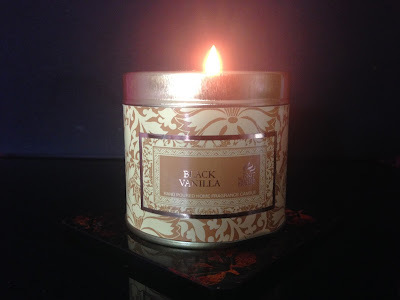 It’s not an overpowering vanilla and is actually rather relaxing. I’ve barely used any of it but I am going to be quite gutted when it’s finished. It is my first candle after all. It’s official, I have turned into a binge watcher. I’ve watched the first 2 season of 90210 in 2 weeks and I’m about to move on to Orange is the New Black. I’m also going to squeeze some Ugly Betty in there and, after being forced into it, I’m going to watch Breaking Bad. 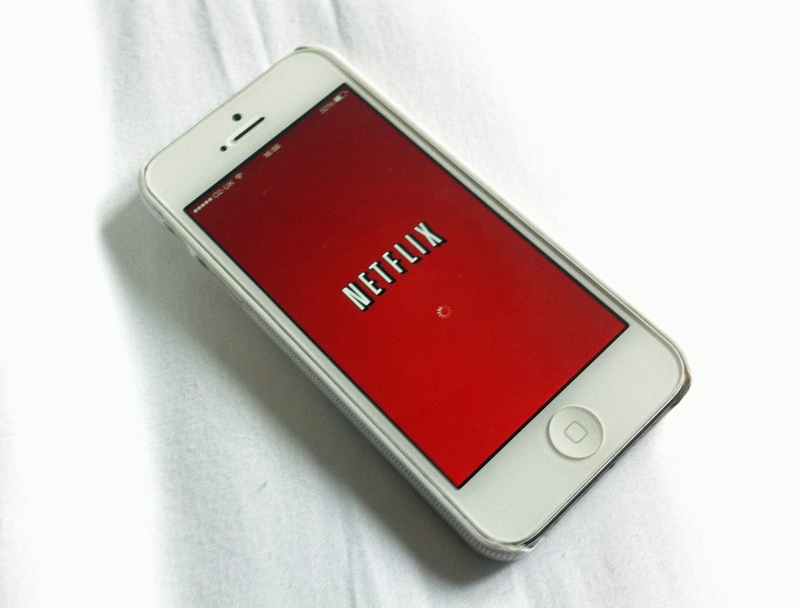 Netflix is the greatest yet most distracting thing ever invented. If it had every season of 90210 (aside from maybe season 4 as that was just awful) it would be perfect. You got that Netflix? So there you have my May Favourites. Now if you don't mind I'm going to start another Netflix binge.